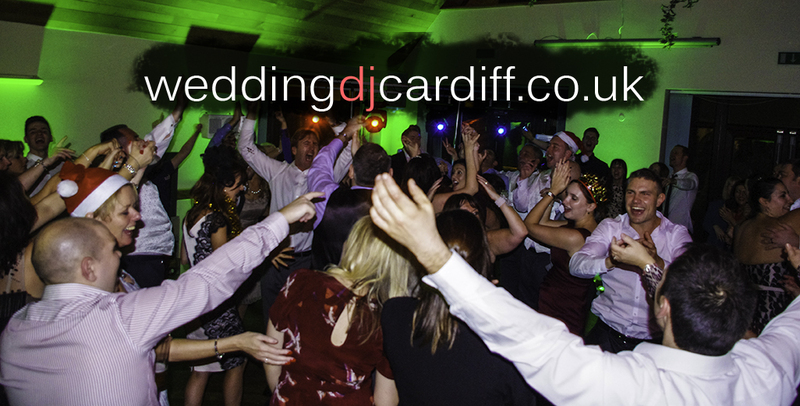 Over the Christmas period we had non-stop weddings back to back. 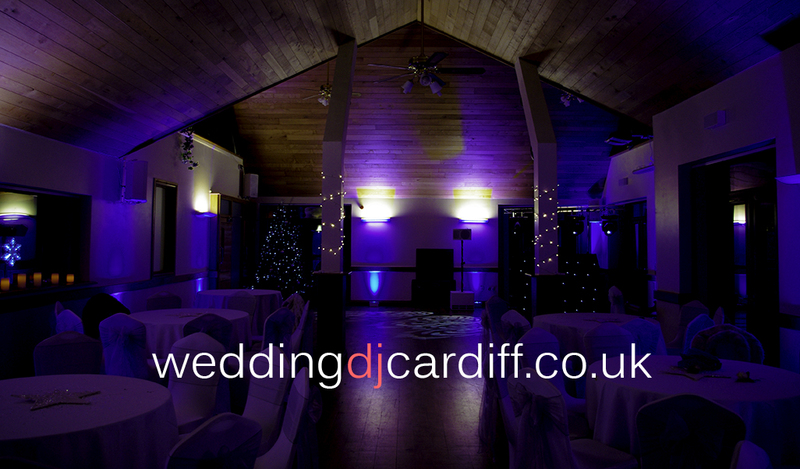 This particular wedding took place at Canada Lodge, one of our regular venues just off the M4 motorway in South Wales. This wedding was the first time we’d used our brand new Traction Audio sound system. A VERY expensive addition to our itinerary and worth every penny too! The speakers were first used down stairs as PA for speeches along with our wireless microphone service. Here’s what we got the room looking like prior to the wedding party finishing their speeches. From the first dance onwards, the dance floor was packed – literally! The review of our services has been provided on our reviews page by Ross and Louise. This photograph shows our lights set to purple and the floor washed with white roses for the first dance. 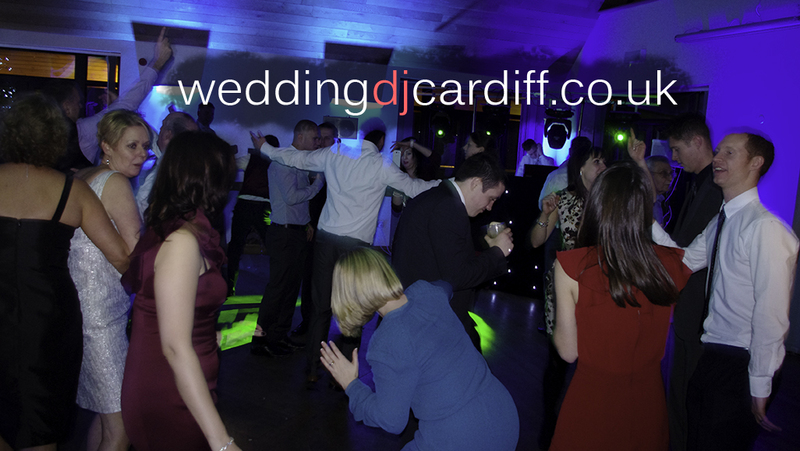 We took requests throughout the evening by the guests, these requests mainly consisted of Motown and Soul, but we also had a fair share of up to date tracks requested by younger guests. Here you can see how our room uplighting changes colour to coordinate with the disco lighting. As you can see, the dance floor was packed all throughout the wedding night, which is just what Ross had requested during our many discussions on the lead up to the big day. 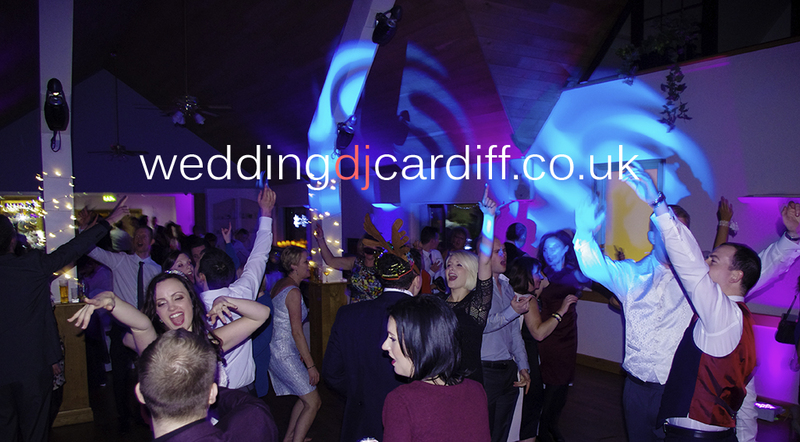 I had a great time DJing for Ross, Louise and their guests. 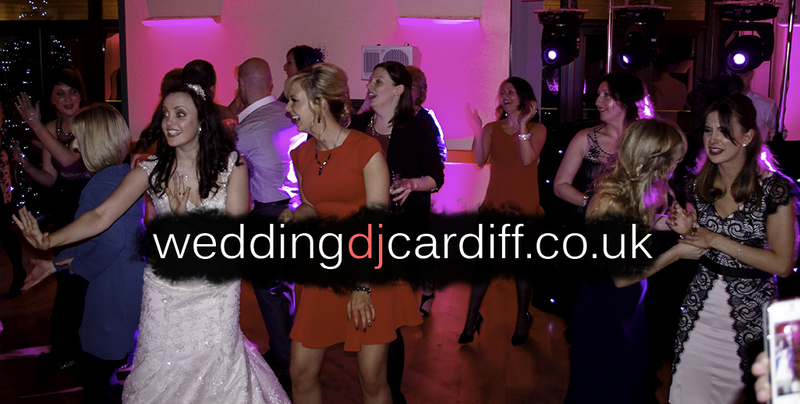 It’s always a pleasure providing our clients with far more than they would ever expect from a Wedding DJ in Wales.